How to define a perfect moment? Through one, twenty or a thousand pictures! The perfect cover for the traveler’s notebook is that one picture you hug with your eyes and “save” within your heart. For me, it was Ponte Vecchio, the oldest bridge in Florence, the easily recognizable image stamp of this amazing city. I wonder if a full time traveler still feels the roundness of emotion I experience when I get to a much thought about place. Is it the novelty of the place or the expectation of the visit? Perhaps, both. 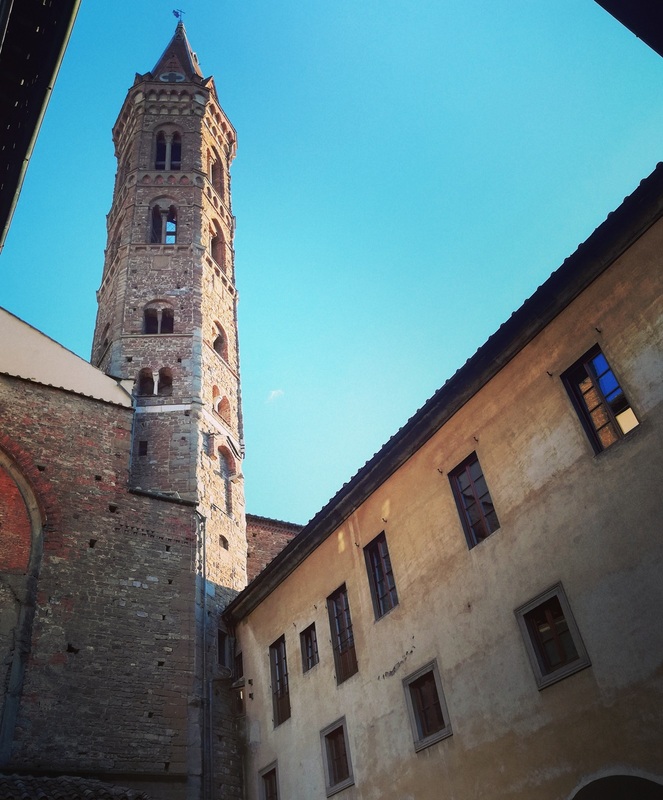 Florence is an open air museum, visiting it feels like diving into a treasure chest. This is only a peek into my collection of souvenirs, I’ll probably make separate posts (already have, actually, with inspired lyrics) on different things I discovered and loved about Florence. So this is only the appetizer! Me, the tourist. I’m the restless kind, you know? Always on the run, “flying” from one place to another just to get a glimpse of beauty. I try to reflect that beauty then, in everything I create. To know the history, to understand the art is to arrive at the meeting point of humanity’s greatest minds. I feel so humble and so grateful! After watching “Medici: Masters of Florence” TV Series, I yearned all year to get to Florence. I did. And I have to go back because I couldn’t get enough of it. The cradle of the Renaissance, of course it’s my magnet for life! 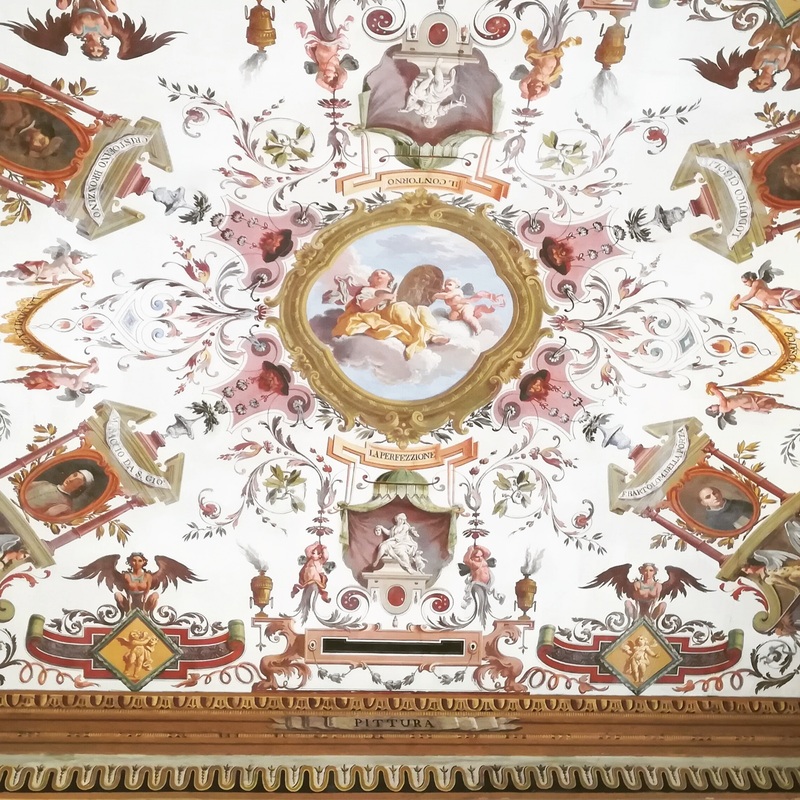 Looking up at the ceiling inside the Uffizi Gallery. This is only one panel, you basically walk an entire hallway with the head leaned back, unable to resist this magnificent beauty. It’s one thing to admire the art on display in a museum, it is totally another thing not knowing where to look first: at the exhibits or at the building hosting them. Mind-blowing, really! During the day, the adult is drawn to the sophisticated things implied by a great cultural heritage. At night, however, when seeing the lights of a carousel, the child in me cannot contain a long forgotten joy. 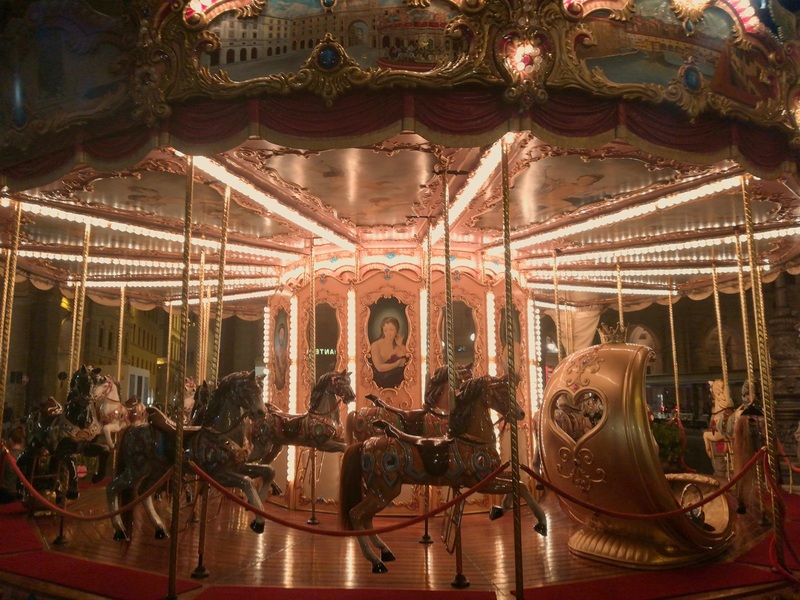 This lovely vintage carousel in Piazza della Repubblica shines like a jewelry from an antiquities shop. A delicious old school vibe fits perfectly with the charm of the historic surroundings. One of the reasons I love travel is that I get to keep the sunny days with me and browse through them whenever I desire. 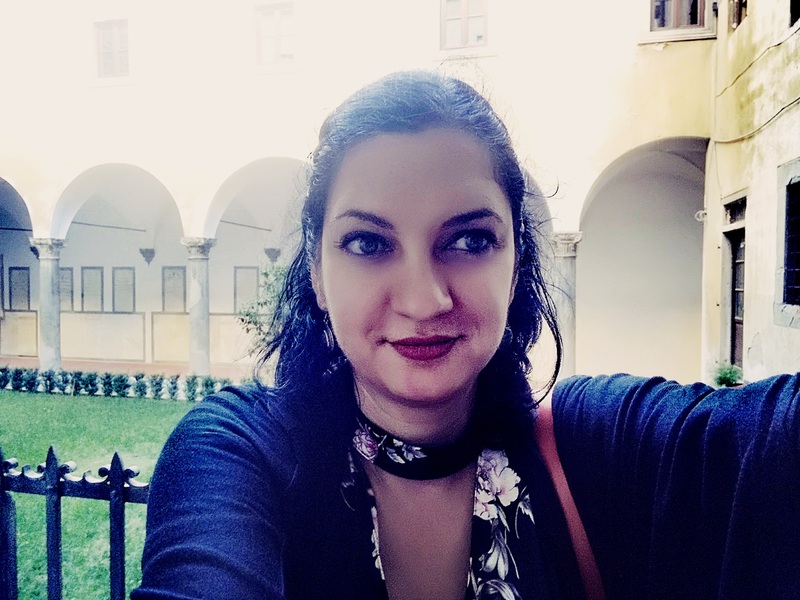 Here, I was enchanted to visit Badia Fiorentina, a very old monastery in Florence. As the story goes, in this church, the poet Dante Alighieri saw his beloved Beatrice for the first time.